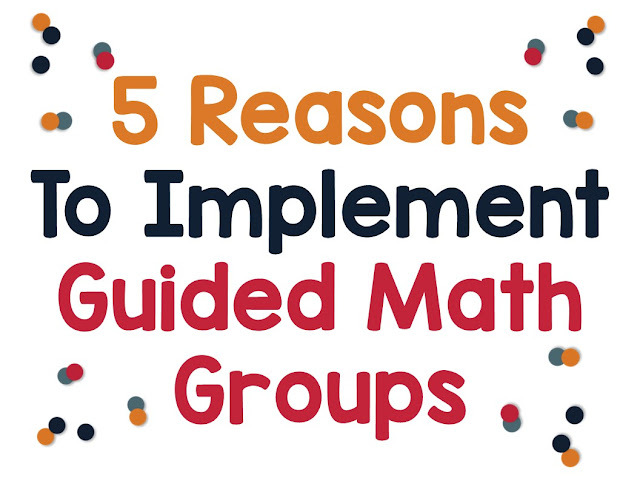 Have you thought of starting guided math groups in your classroom, but aren't sure if it's the best thing for you? Let me try to convince you with 5 reasons why you should implement guided math groups--immediately! Running Guided Math groups allows you to work with your students in a small group setting. Students will benefit from more one on one time with you. I have found that time working with a handful of students at a table is my favorite time of the day. It allows me to zero in on exactly what they are having difficulty with. I can differentiate my instruction for each child much more easily during this time. It's a great time to take notes about your students. You can look back at these notes later for future planning of your group time. One big question teachers always have about guided math is, but what are the other students doing? 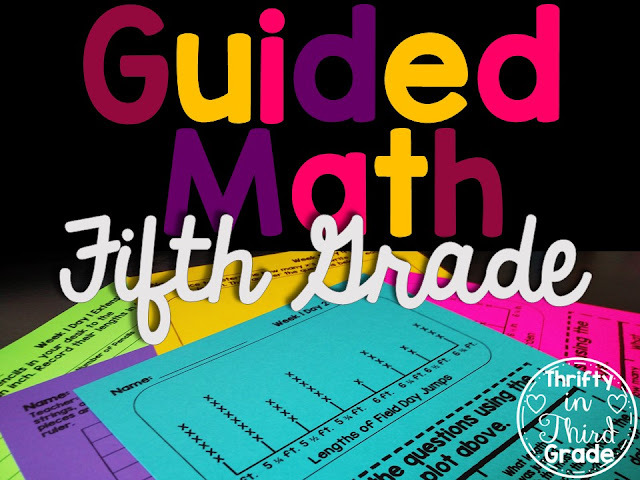 I go more in depth with that in my guided math set up blog post which you can read here, but the main takeaway is that students are still practicing the skills! By using extension activities, practice pages, technology, and centers, your students can be practicing and reinforcing the skills they have learned all year. It is so important to keep the skills fresh in the students' minds, and guided math groups allow you the perfect chance to do this! It's important for students to learn to work independently and be responsible for their learning. They can't expect you to think for them. If we only do whole group instruction, it can be difficult to make time for students to really try to learn and practice skills on their own. It takes time to train students to do this! I have a free 10 Day Guided Math Launch Plan in my TpT store. This can give you some help with managing your groups during the first 2 weeks that you launch it. Collaboration is important. When you allow students to work in groups or with partners they are learning problem solving and social skills. We ALL know that students need all the help they can get with this. Sure, you may have to intervene and help every now and then, but if students never have the opportunity to practice, how can we expect them to get better? It's fun! Students enjoy getting to practice their math skills in a hands on way! And trust me, you can do this, even without another adult in the room, even without a lot of technology, you can do it! There is nothing like looking around your classroom and seeing your students buzzing as they are working on many different skills, busy at their group or in their centers! If you invest the time teaching procedures and expectations, your groups will practically run themselves. 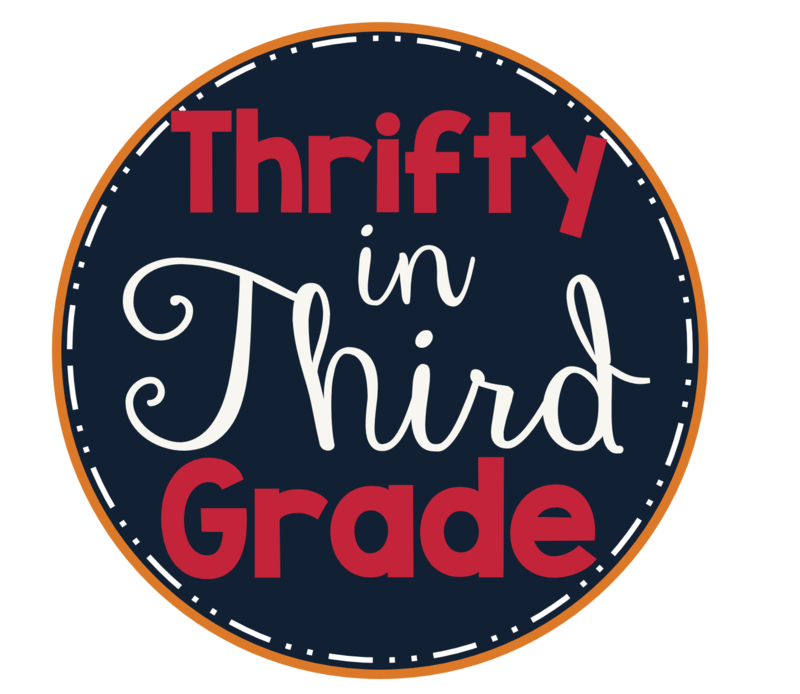 For more information about how I run Guided Math using flexible grouping in my classroom, check out this blog post. You can also check out my Guided Math year long bundles by following the links below. 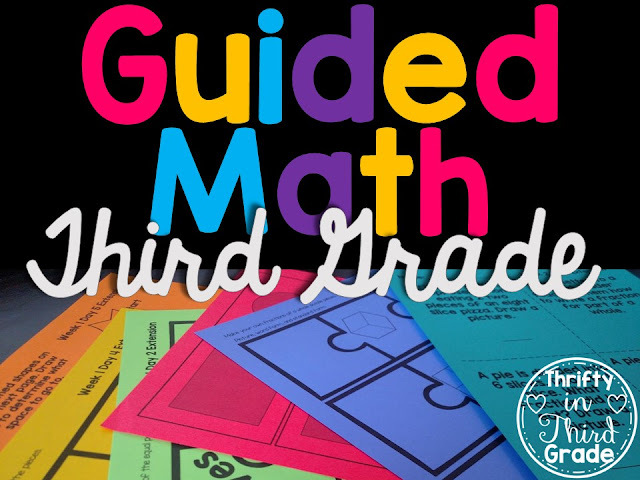 Looking for more of a step-by-step guide to Guided Math? Check out this FREE course!